One man was airlifted and two others made it ashore after they ended up in the water on Loch Ness. The memory of a special little boy has been honoured with a generous donation to the special baby care unit at Raigmore Hospital. Nicola Sturgeon yesterday pledged to investigate the 100-mile ambulance journey of a mother-to-be who gave birth to her premature twin boys 52 miles apart. A popular bus driver has died after his vehicle crashed into a bridge in the Highlands and landed on its side last night. The health secretary has pledged to work with NHS Highland to secure a better deal for patients splashing out “extortionate fees” to watch television at Raigmore Hospital in Inverness. Little Elissa Wyllie from Thurso made her parents’ New Year when she arrived safe and sound at Raigmore Hospital at 37 minutes past midnight. Searches continued yesterday in the effort to trace missing Inverness man Michael McColl after he was first reported missing on Christmas Eve –over four days ago. A heartbroken couple have won a legal battle against NHS Highland after their daughter died from a brain tumour two months following an all-clear. An MSP has attacked the “outrageous” abuse by drivers who are parking at the north’s main hospital without even visiting it. A staff nurse who worked at Raigmore Hospital has described it as the worst experience of her entire life. More victims of the NHS Highland bullying culture are coming forward, a whistle-blowing doctor said yesterday. Unite the union has today raised serious health and safety concerns after being told of working dangerously long hours at the North Division of the Scottish Ambulance Service (SAS). A 5,000-year-old cairn at the heart of Inverness has been targeted by "mindless vandals" who destroyed a plaque at the historic site. An Inverness dad is searching for a young “hero” who reacted quickly to help his six-year-old daughter after she slipped and smashed her head off a metal railing. Police are currently on route to a one-vehicle crash in Inverness. 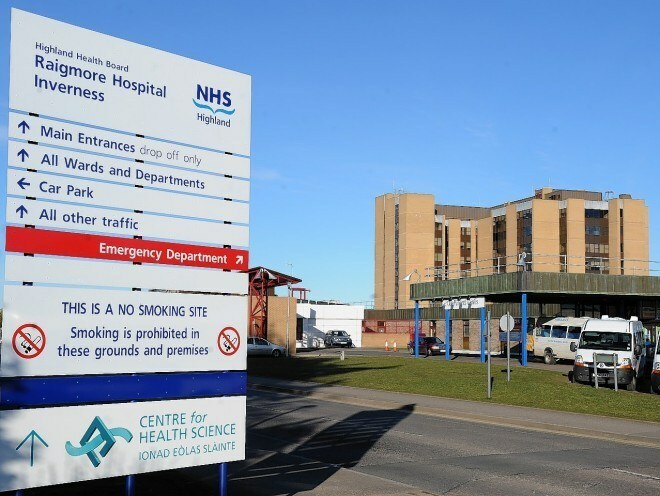 A Caithness woman was forced to make an eight-hour journey to give birth 260 miles from home because there was no specialist cot available at Raigmore. The Friends of Raigmore volunteer group yesterday handed over a new Ophthalmology Camera for the benefit of patients to Raigmore Hospital. Expectant mothers in Caithness have voiced concerns about their journey home from hospital after a baby suffered a seizure when driven less than two hours in a car seat. Visiting at medical wards at the Highlands’ hub hospital has ceased for the time being after another outbreak of the norovirus in the north. Health chiefs have turned to an unlikely source to help combat the rise of flu as hospital figures soar across the north and north-east. An Inverness family has enjoyed a very special first Christmas at home with their baby girl - who last year made an early arrival and spent the festive season in hospital. NHS Highland has been told to apologise to a patient after doctors failed to discuss the full risks of an epidural with her. A father has spoken of his terror as he and his family were rescued from a blazing car after a Highland holiday almost turned to tragedy. More than 50 surgical staff have signed a letter outlining how Raigmore’s radiology department is in crisis. The father of an 11-year-old boy who lay injured in the gutter after being hit by a car has claimed the case highlights the lack of ambulance cover in Caithness. A woman was arrested in the wake of a fire at an Inverness flat on Monday evening. A renowned paediatrician and comic book fan has seen his own 'origin story' become an online hit after revealing how he witnessed Raigmore doctors save his sister's life as a child. Midwives from Raigmore Hospital in Inverness are in training for their latest charity challenge which will see them tackling the Great Glencoe challenge. 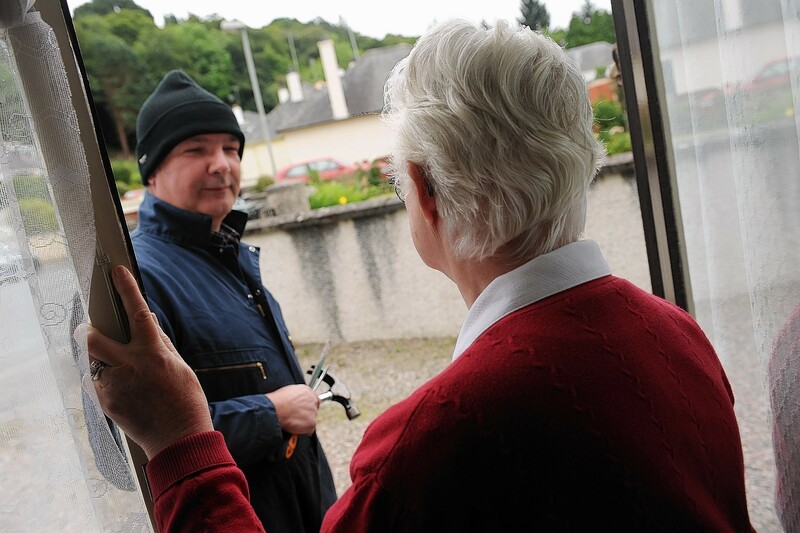 An Inverness neighbourhood of more than 700 residents has united to tell unwanted doorstep callers they are not welcome. There has been a cautious welcome from unions and campaigners to confirmation that £400,000 is being injected into the ambulance service in Caithness. A cyclist is still in hospital after being seriously injured at a remote location in Lochaber at the weekend.